You must make bookings at least 5 minutes in advance of the time at L'Aventure. We always look forward to dining at L’Aventure. The ambience, service and food are first class. This is a warm, intimate restaurant. Wonderful lunch, they really looked after us and we will be going back. The food was excellent throughout, great wine, thoughtful service. Most definitely. The food and wine were delicious and the service excellent without being intrusive.We were not asked all the time wether we had enjoyed our food, our empty plates bore witness to the fact. The food was amazing. Well done. will recommend to family and friends and we personally will come again. It is worth dining here. We had a warm welcome from the moment we arrived. The Patronne was friendly, efficient & very helpful with her advice about the menu & wine list & which proved to be accurate & helpful. It is a relaxing setting wiht a lovely ambience. A small basket of mixed breads included some nut & fruit bread - delicious. The artichoke starter tasted really nice & was also beautifully presented. The turbot main was cookd perfectly & the lamb main was also very tasty & beautifully cooked. Finally the warm apple tart was perfect. The restaurant became very busy during our visit but the waiting staff were professional & helpful & polite at all times. I have given 4 stars for service only because we were waiting a little long for the bill, however, it was by then very busy & we were not rushed out of our seats. There is a lovely terrace where you can also be seated during nicer weather. Excellent French food . Limited menu but could have chosen every single dish offered > Food was excellent , beautifully presented and with great sauces. Feels like being in France . Lady proprietor is charming and very welcoming . Four of us had a truly enjoyable celebratory dinner. Lovely restaurant. Fantastic food and faultless service. Would highly recommend. Wonderful food in a lovely setting. Very good atmosphere, great authentic French cuisine. Had a friend come to stay so decided at the last minute to go out rather than eat in. Glad we did as this was a very pleasant experience indeed. Only regret is that it was a Monday evening so could not really get "stuck" in - the next visit will be different! Lovely local restaurant with a reassuringly short menu. Excellent quality and good wines. Service is always good. Delicious. Very friendly. Totally French. Always enjoy eating at L’Aventure where the food, attention and atmosphere is excellent. The food was delicious, don't get me wrong, but it was extremely expensive compared to what else you can get for the price. It's a neighbourhood gem, but not somewhere I would expect to pay £50+ a head with only one or two drinks each. We were alone in the restaurant for about 20 mins before the next group arrived, so it was pretty quiet. 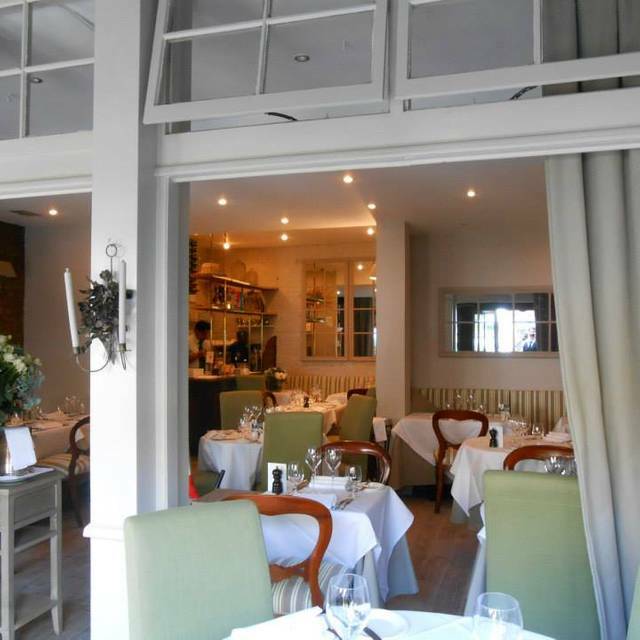 A lovely and cosy neighbourhood French restaurant in the heart of St. John’s Wood. The food is delicious and well presented. A nice selection of wines and the proprietress is always on site to either cook or converse and serve the guests in the restaurant. The rack of lamb was beautifully cooked and this was followed by wonderful crème brûlées. A perfect french meal! A friendly, romantic, adorable setting. With consistently mouth watering food served in perfectly sized portions. The courtyard garden makes for a great summer setting with their amazing salmon starter; but the interior is also cozy enough to have a juicy rack of lamb on a cold winters evening. The staff are so nice it's like your family. Can't wait to go back. 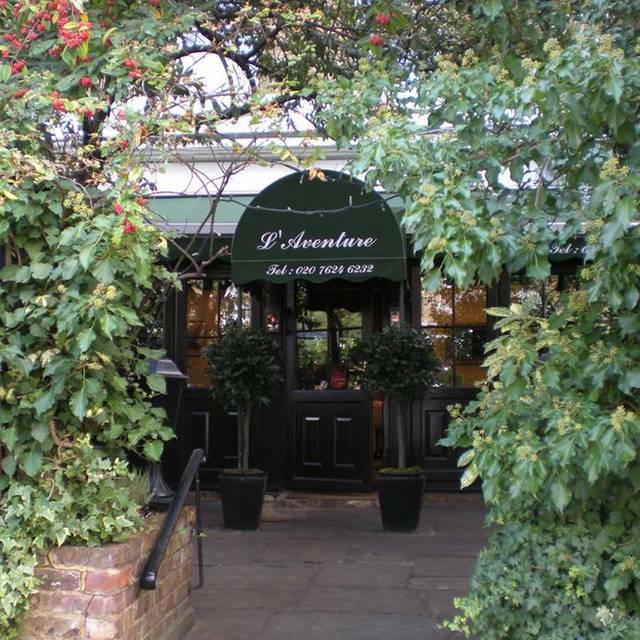 It's always a pleasure to go to l'Aventure, one of our locals that we have used for the last 25 years or so. On this particular evening, however, they seemed to be short of one staff with some impact on the speed of service. Also, while our first courses were delicious, my second course (rib of veal) was overcooked. Still, I will go back. What a joy to return to this fabulous restaurant after too long a break and find that it is every bit as good as we remembered it. Delicious food, distinct selection of wines and a wonderfully French feel. A real gem and we will not make the mistake of leaving so long until our next visit. The family had dinner on a Monday evening to celebrate a special event. As expected a quiet evening with only a few tables occupied so the owner and staff had good time to advise upon the menu. The service was top, the meals delicious and well presented. The restaurant deco is good and held in a typical French style. The place is busy later in the week and at weekends so then reservations are necessary. A great, local find. Lovely food, nice wine and cosy....slightly quirky! Too many restaurants are bland and manufactured. This had authenticity and character!! We had Sunday lunch here to celebrate my sons birthday. It's a set menu with plenty of choice. The food was excellent we all had different things to eat and everything was good. The service was excellent and we would happily return. Fantastic local find! 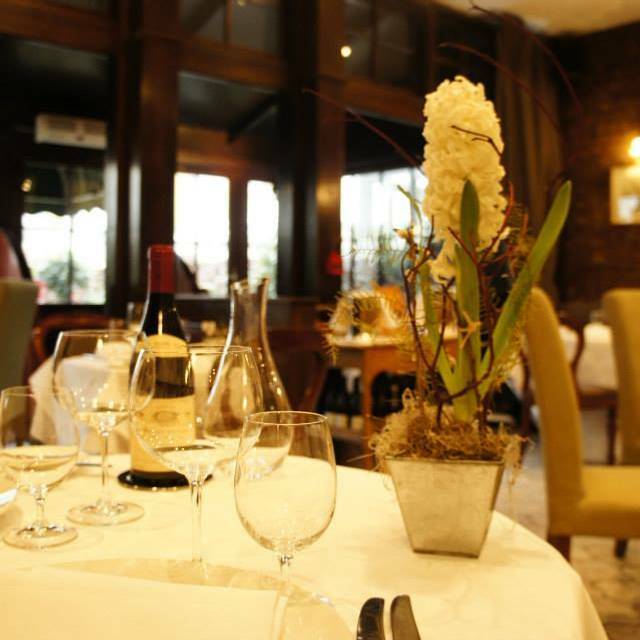 The restaurant serves up excellent french cuisine time and time again. Sofisticated Bistro cosy atmosphere. A pleasurable experience once more. Lovely in every sense of the word. Good food, good wine, nice setting. Should be busier! We dined for a special event. If I have a reservation it is that the wine list is onto expensive side with the cheapest at £29.00 a bottle. There was quite a delay in having our order taken, but all in all it was a pleasant evening. The crème brulée is absolutely wonderful. Quiet and lovely neighbourhood restaurant. Always like returning to L’Aventure, a very special place. Consistently a very good resturant that never disappoints. Very good restaurant , one of very few in terms of quality in the area. Absolutely wonderful food, excellent value and great service. Who could ask for more!